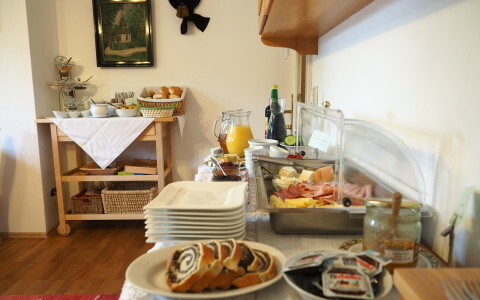 We serve our guests a varied and rich breakfast with lots of regional products in the form of a lovingly prepared buffet. For the very best start to your day we offer; home-made jams and spreads, freshly sliced fruit, home-baked cakes, organic fruit juices, bread from the local bakery and local honey from our friend “Asi”, sliced ham and sausage, cheese, muesli, boiled eggs. The B&B’s has its very own private lakeside garden, bathing lawns and jetty, comfortable garden furniture, loungers and swinging seat which can be used at any time. For the sporty types there are two kayaks and a stand-up paddle board at your disposal – the best way to explore the lake. Recommendation: Don’t miss the stunning sunset which can be enjoyed in the comfort of the pension’s own lake-side garden. Guests staying with us for three nights or more receive a free SalzkammergutCard offering great reductions on a wide range of sights and places of interest in the region: A boat ride on the local passenger boat „Fuschlerin“, an ascent with the gondola lift to the Zwölferhorn Mountain, a visit to the Imperial Villa in Bad Ischl and lots, lots, more. 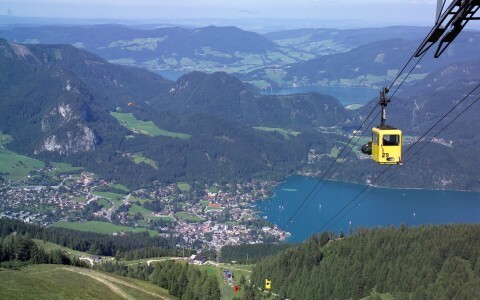 There is so much to see and do in the wonderful Salzkammergut Lake District and the SalzkammergutCard helps you to explore the region to the full. Free WiFi for our guests: You have free access to the internet throughout the pension. 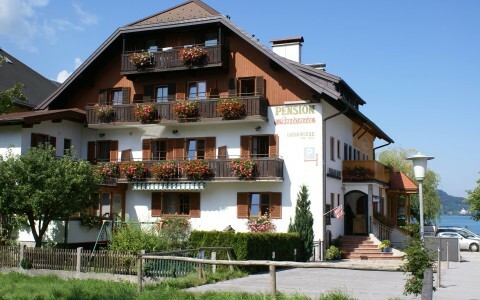 Simply ask upon arrival at the B&B Pension Antonia for the password. We are happy to help you. We would be glad to cater for your particular needs so don’t hesitate to ask for your individual and personal holiday offer.